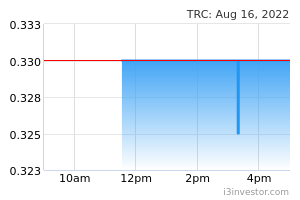 TRC Synergy’s (TRC)’s headline profit in 1QFY18 came in at RM1.3m (-90.0% YoY, -46.2% QoQ) which was again dragged by higher unrealized foreign exchange loss (forex). Stripping out the forex loss of RM9.9m, the Group’s FY17 net profit is at RM11.2m, which made up 30% of our and consensus full year estimates. Outstanding order book is still healthy at c.RM2.5bn. With current de-rating of the construction sector, we reduce TRC’s PER multiple to c.6x to FY19 EPS, which lowers our TP to RM0.50 (from RM0.82). We believe its existing projects are not at risk of being cancelled albeit competition for new jobs might get stiffer going forward. FY18 net profit is cut by c.27% to account for FOREX losses. In view of the lack of re-rating catalysts, TRC is downgraded to Neutral from Outperform. Outstanding order book. We estimate the Group’s outstanding order book to be still at RM2.5bn which is largely unchanged from a quarter ago, ensuring earnings visibility for the next 2-3 years. 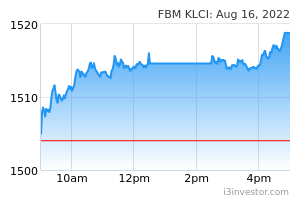 Recent job wins include LRT3 package (RM760.6m) and MRT2 package (RM348.3m, awarded to the KKM-TRC consortium). Ara Damansara property development project. The long-awaited Ara Damansara property project is now believed to be at the last stages of finalization, which consists of service apartments, hotel, office block and retail mall. The first launch is now slated for June, from the 2H2017 planned earlier. The total estimated GDV for the project is c.RM1bn. We understand that the first phase is estimated to be c.RM300m.